Below you fill find all funeral homes and cemeteries in or near Lenox. Suburbs of Lenox: Kent, Stringtown. Zip codes in the city: 50851. Some of the notable people born here have been: (john torrence tate and sr.), and (george r. lunn). It was noted by Peoria Journal Star on March 24th, 2019 that Geraldine A Hankins (Stapleton) perished in Bartonville, Illinois. Ms. Hankins was 86 years old and was born in Lenox, IA. Send flowers to share your condolences and honor Geraldine A's life. It was reported by Hastings Tribune on December 11th, 2018 that Norman E "Norm" Stice perished in Hastings, Nebraska. Stice was 78 years old and was born in Lenox, IA. Send flowers to express your sorrow and honor Norman E "Norm"'s life. It was disclosed by The Villages Daily Sun on October 22nd, 2017 that Bette L Tangier-Glennon (Terry) died in The Villages, Florida. Send flowers to express your sympathy and honor Bette L's life. It was reported by Kearney Hub on April 15th, 2017 that Gary Dale Day perished in Kearney, Nebraska. Day was 73 years old and was born in Lenox, IA. Send flowers to share your condolences and honor Gary Dale's life. It was written by Des Moines Register on January 20th, 2017 that Gerald Maharry perished in Lenox, Iowa. Maharry was 98 years old. Send flowers to share your condolences and honor Gerald's life. It was reported on May 1st, 2016 that Wilma Darlene Gregg (Benson) passed on in Sarasota, Florida. Ms. Gregg was 102 years old and was born in Lenox, IA. Send flowers to express your sorrow and honor Wilma Darlene's life. It was reported by The News Tribune on August 30th, 2015 that Flotence Mae Garrick (Rhoades) passed away in Washington. Ms. Garrick was 92 years old and was born in Lenox, IA. Send flowers to express your sympathy and honor Flotence Mae's life. It was noted by San Diego Union-Tribune on July 5th, 2015 that William Frederick Manroe died in La Mesa, California. Manroe was 80 years old and was born in Lenox, IA. Send flowers to express your sympathy and honor William Frederick's life. It was reported by Tri-City Herald on April 18th, 2015 that Grace Verlee Rogers (Saunders) died in Kennewick, Washington. Ms. Rogers was 94 years old and was born in Lenox, IA. Send flowers to express your sympathy and honor Grace Verlee's life. It was noted on February 15th, 2015 that Eunice M Schroeder perished in Fort Smith, Arkansas. Schroeder was 95 years old and was born in Lenox, IA. Send flowers to express your sorrow and honor Eunice M's life. The population was 1,401 at the 2000 United States Census census. 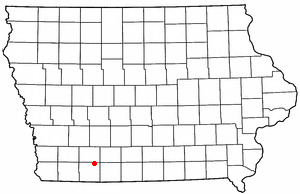 Lenox is a city in Adams County, Iowa and Taylor County, Iowa counties in the US state of Iowa. . . . Listing all funeral homes in Lenox, Iowa so you can easily send flowers to any location (same day delivery) or find any funeral service. Lenox Funeral planning made easy! Learn how to pre-plan your funeral in Lenox, Iowa, including step-by-step directions. We work with local florists and flower shops to offer same day delivery. You will find budget sympathy flowers in Lenox here. Our funeral flowers are cheap in price but not in value.